The Bank of Elk River offers 30 year Adjustable Rate and 10 year Fixed Rate, in-house mortgages for our customers. We also work with a vendor for other first mortgage products, including but not limited to, Construction, Conventional, and FHA. 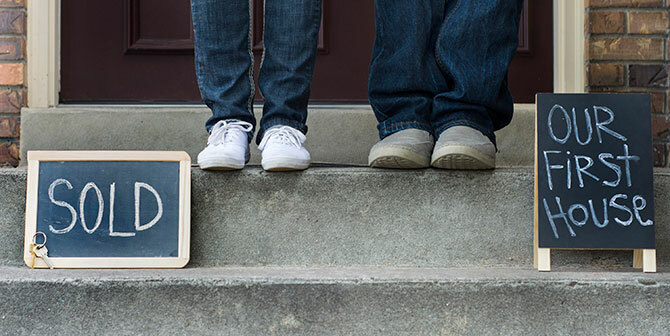 Whether you’re a first time home buyer, buying that dream home or lake property, refinancing your home to reduce your monthly mortgage payments or purchasing investment property, we want to help you find the right program for your needs. The first step in obtaining a mortgage is to determine the type and amount of loan for which you qualify for. In the case of buying a home, it is extremely beneficial to determine how much home you can afford even before you begin looking. In doing so, you will be able to have an accurate price point when you are looking for the right home and will be able to begin to establish an accurate budget for homeownership. By completing a mortgage application and gathering a few items, you can be pre-qualified to purchase your new home! It is often said that you should refinance when mortgage rates are 1% lower than the rate you currently have on your loan. This is not always the case. Refinancing may be a good option even if the interest rate difference is minimal. Also, you may not be in the best mortgage product for your current financial situation. For example, you might have an ARM (adjustable rate mortgage) and now you might be better off with a Fixed Rate Mortgage. We can help determine if refinancing is the best option for you at this time. The in-house mortgages are kept at the bank as part of our loan portfolio. Payments for this type of loan can be made at any of our locations. Fill out a Mortgage Application, gather items from the Application Checklist and drop it off at one of our locations.